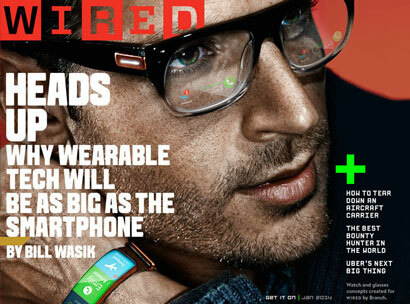 Wired magazine's cover story for their January 2014 issue is all about wearable tech, why it will be as big as the smartphone. This seems inevitable to me. 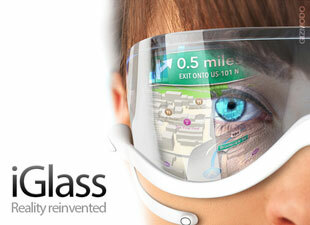 Devices which are wearable in some way attempt to address this; displays integrated with glasses for example, to provide "heads up" information at all times, and wrist mounted input devices for easier interaction. These devices are often conceived as peripherals to the smartphone in your pocket, communicating via Bluetooth, and they often gather environmental input, like your location, motion, heart rate, temperature, visual and auditory surroundings, etc. The article makes a great point: for wearable devices to become mainstream, they must become fashionable as well as functional. I use a Bluetooth headset all the time, but I'm aware of looking like a nerd while using it that bothers me. They are not fashionable. Meanwhile I've been using a Shine activity monitor, and I'd say they are cool. The main problem so far with the [lack of] acceptance of the Google Glass has not been functionality, it has been that it falls into the "Bluetooth headset" / nerd category of wearable devices, not the "activity monitor" / cool category. Someone will cross this chasm. 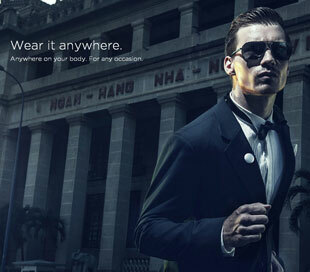 The future will be wearable.